If you are looking for an exceptional and stress-free remodeling service in Collinsville, look no further than Butler Home Improvement. When our Collinsville customers talk about Butler, what they are saying proves we’ve earned their trust. Many companies are uncomfortable with this level of transparency, but we think clients should insist on knowing the facts before hiring anyone to complete their Collinsville home improvement services. For more information about our home improvement company in Collinsville, contact Butler today by calling (618) 344-7073 or completing our online contact form. Butler Home Improvement aims to be the trusted advisors that know how to improve the visual appearance of your Collinsville home. 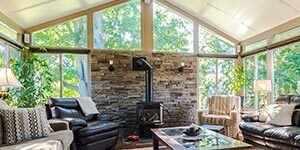 Allowing the highly skilled contractors and installers from Butler Home Improvement to handle your Collinsville exterior and interior remodeling projects means being provided with excellent home improvement service and craftsmanship at fair pricing. Here at Butler, we believe Collinsville homeowners have the right to information that will help you make the best decision, deserving to know exactly who you are working with before making your Collinsville home improvement company decision. Butler Home Improvement specializes in a complete range of interior and exterior remodel and home improvement services including SlideClear Doors, acrylic roofs, bathroom remodeling, kitchen remodeling, sunrooms, retractable awnings, decks, siding, patio covers and enclosures, and window installation for residents in Collinsville and the surrounding areas. 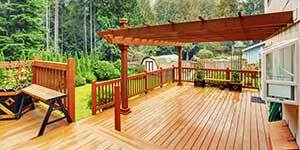 Collinsville Home Improvement Since 1996, Butler Home Improvement has been serving homeowners in the Greater Collinsville area with the highest standard of home improvement including a full selection of interior and exterior remodeling services. Our highly skilled team is proud to deliver the absolute best in products, services, and installation, through The Butler Advantage and our dedication to White Glove Service. 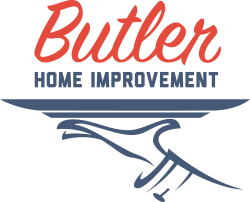 To learn more about Butler, or if you’d like to get started on a remodel or home improvement project for your Collinsville property, contact us today by calling (618) 344-7073 or completing our online contact form!